Quitting smoking is difficult: Only a small percentage of people who attempt it without any medication (four to seven percent, according to the American Cancer Society) are successful. With medications, and nicotine replacement therapy (NRT), that fraction rises to 25 percent — which is better, but still quite low. As a result, scientists have been trying to find other methods to help people quit smoking — psychological and emotional ones that focus on improving people’s perspective and behavioral patterns fall into that list. One new study out of the University of Granada in Spain finds that motivational interviewing — a psychological technique that serves as direct intervention — made a difference in helping smokers see their habit as negative and disagreeable, and ultimately in pushing them to quit. The study focused on 53 participants, who were all smokers and had been smoking over 10 cigarettes a day for over a year. These smokers had no intention of quitting. The researchers had them sit and watch a 20-minute motivational interview, which showed empathy for smokers — but also discussed the differences between current behavior and future goals. They noticed that the smokers, after watching the motivational video, became more willing to change. For example, before watching the video, smokers responded to tobacco images the same way they would to pleasant photos. Afterward, their responses to tobacco images became more negative and disagreeable. “Motivational interviewing manages to change, at least temporarily, the emotional response that smokers present before stimuli associated to tobacco, from pleasant to unpleasant, which helps them overcome one of the main obstacles for quitting tobacco consumption, i.e. motivation for change,” the authors write. Motivational interviewing has been used in the past to help treat drug addicts and other substance abuse patients, and it’s been effective for them. 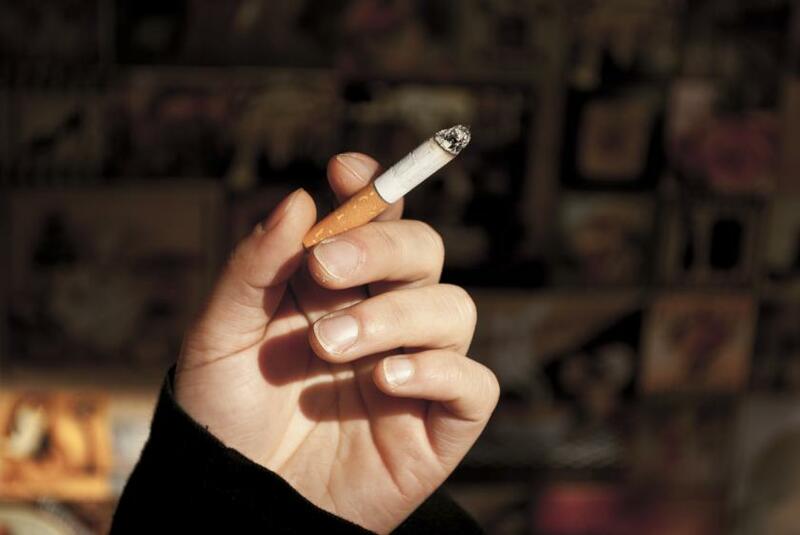 However, because there’s not a lot of research out there about the efficacy of psychological interventions for smoking, researchers still aren’t sure how helpful it might be. One recent study found that motivational interviewing was more effective than advice or care provided by general practitioners and even trained counsellors — possibly because there’s a focus on empathy, discrepancy, and on avoiding arguing and defensiveness from the smoker. The essence of motivation is that it instills hope in the person, which can ultimately lead to a feeling of self-esteem and self-efficacy. If it's hard enough for smokers with a desire to quit to actually follow through on it, imagine how difficult it would be to get smokers, who have no willingness to quit, to prevent themselves from dying from the adverse effects of tobacco. If motivational interviewing could be used more frequently in doctors offices as an intervention for people who don't want to quit, how many lives would be saved? Source: Gantiva C, Guerra P, Vila J. From appetitive to aversive: Motivational interviewing reverses the modulation of the startle reflex by tobacco cues in smokers not ready to quit. Behavioral Research and Therapy, 2015.